A learning management system can revolutionise the way educational organisations communicate with their students. Innovative LMS technology can support a wide range of teaching and learning activities. 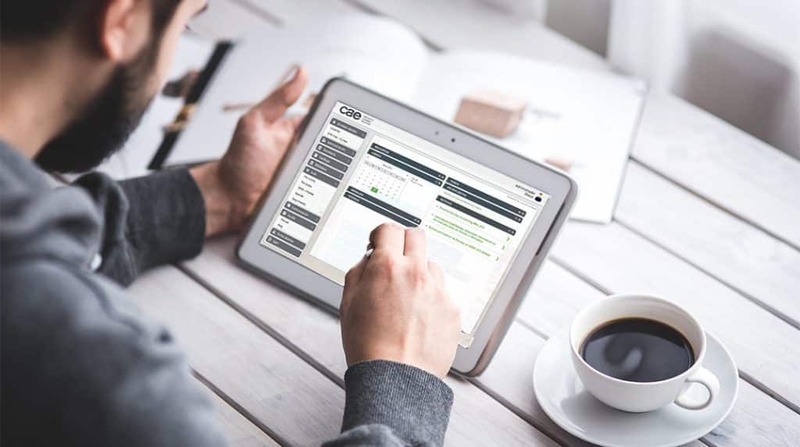 The online learning community and multi device learning capabilities offered by an LMS can help to make teaching more effective, revision more straight forward and assessment easier to administrate. Because of this, when it is used well an LMS can help to improve student success, increase student retention and encourage greater enrolment numbers. Who is a learning management system right for? We believe that schools, colleges, universities and training providers all have a great deal to gain from a quality LMS platform, whether they want to support blended learning, flipped classroom teaching methodology, online courses or in-class multi device learning. If your educational organisation is looking for a proven way to improve systems, increase student engagement and reduce teacher administration time, then a learning management system is highly likely to be beneficial. How can a learning management system be used to make the learning process more effective? LMS platforms work by providing a virtual learning space for students to access resources, speak with their teachers, host discussions with their peers and assess their progress. Many LMS platforms, including our Voluxion LMS, include comprehensive student tracking tools. These are important as they make it easier than ever before for teachers and administrative staff to closely monitor student progress. The data collected and presented by the LMS can make a huge difference to the quality of teaching as teachers are able to recognise at a glance which students need additional support, which students would benefit from more challenging content and which subjects need to be revisited before the end of the course. Indeed, the benefits of an LMS do not stop here. There are all manners of creative and innovative ways to use a learning management system. Are there more creative ways to use a learning management system? It can be extremely beneficial to encourage students to get more involved in the planning of their lessons. This is a particularly effective method for students who are typically less engaged, as inviting them to help shape lessons can encourage them to see things differently. Multi device learning with an LMS makes it easy for students to get more involved in this sense. Why not set students a challenge to find, create and share learning resources for their peers? There is no escaping the fact that different students learn at different rates. This simple truth can make teaching a class effectively very tricky, especially within a traditional classroom environment. However, an LMS can change this. Whether training is taking place in class or online, a learning management system can easily host differentiated content for students at different levels. It can also enable students to work through content at their own pace, whether online from home or within a classroom multi device learning environment. It is beneficial for students to be able to communicate with their tutors regularly. They often have questions or concerns that they don’t feel able to bring up during class time, whether that class is delivered in person or virtually. An LMS is an excellent tool for facilitating communication. Tutors can take advantage of this by hosting virtual tutoring sessions where students can ‘drop in’ to clear up misconceptions, go over certain topics or get their questions answered. There’s no doubt that learning can be far more effective if students are able to have fun while they do it. One of the major benefits of multi device learning is that technology makes it easier than ever before to inject a large amount of fun into learning times. Why not try using your LMS to host revision games? Lighthearted revision games that test knowledge can be a great way for students to improve their understanding. One of the major benefits of using an LMS is that it can handle assessment on behalf of teaching staff. Without the administrative workload of having to collect, mark and return test papers, there’s no reason for teachers not to increase the frequency of assessments. Regular quizzes can help students to practise their learning as well as allowing teachers to track progress and identify problem areas. What else could a learning management system do for your organisation? The possibilities don’t stop there. An LMS such as Voluxion could help to make blended and multi device learning a very effective teaching method for your educational organisation. Why not get in touch to request a free consultation? We’d love to talk you through the LMS options.